From the Winter Carnival in January to the Holidazzle Parade in December, there are major events, parades, festivals, and sporting events every month. Here's a year planner of major events in Minneapolis and St. Paul. Winter Carnival takes place the last week and a half of January, featuring ice carving, Minnesotan foods, and a grand parade in downtown St. Paul. The City of Lakes Loppet is held on the first weekend of February. Cross country ski races on Minneapolis' lakes and trails attract local, national and international competitors. The Loppet is a very popular spectator event. The St. Patrick's Day Parade is held every year on or around March 17. The St. Patrick's Association has been organizing the downtown St. Paul parade for over 40 years. Around 10,000 people come to see the parade and turn St. Paul green. Earth Day is April 22. The Twin Cities are renowned for being one of the greenest metropolitan areas in the nation, and there's always a lot going on for Earth Day. The In the Heart of the Beast Theatre May Day Parade is the first weekend in May. May Day is famous for the annual puppet parade and festival in Minneapolis' Powderhorn Park. The Cinco De Mayo Fiesta takes place around May 5. The District del Sol, in St. Paul's West Side is home to a large Mexican population, who celebrate with a street festival of food, music and a car show. Art-A-Whirl is the third weekend in May. Northeast Minneapolis artists host art studio tours and open houses in Northeast Minneapolis. Grand Old Day is the first Sunday in June, with a parade on St. Paul's Grand Avenue, and events and entertainment all day. Around June 19th, Minneapolis hosts one of the nation's largest Juneteenth festivals with food, music and a parade in Minneapolis' Theodore Wirth Park. 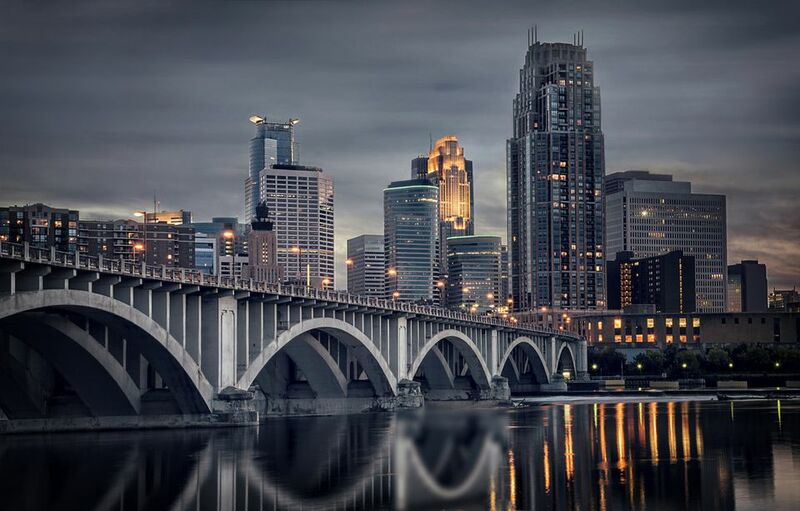 The Stone Arch Festival of the Arts is held Father's Day weekend, featuring art, music, cars, and entertainment in the Minneapolis Riverfront District. Twin Cities GLBT Pride Celebration is at the end of June. Almost half a million people attend the annual parade and festival. The City of Lakes Tri-Loppet is also held at the end of June. Cheer on the racers as they kayak, run and bike around Minneapolis in the summer's answer to the cross country ski Loppet in February. July 4th is a great time to check out some fireworks. The Minneapolis Aquatennial is the third week of July. Check out milk carton boat races, the Torchlight Parade, sandcastle sculpting contests, live music and fireworks in the biggest free summer festival in the Twin Cities. Art Fair Weekend is at the beginning of August. The Loring Park Art Festival, the Uptown Art Fair and the Powderhorn Art Fair are all held on the same weekend. Fine arts, local crafts, and everything in-between can be found for sale at these three art fairs. The Minnesota Fringe Festival is at the beginning of August. Hundreds of music, dance, and theater performances are shown at venues across the Twin Cities. The Irish Fair of Minnesota is a free festival in early August in Harriet Island, St. Paul with sports, dancing, music and all kinds of Irish-themed fun. The Minnesota State Fair takes place at the end of August. The "Great Minnesota Get-Together" is the twelve days up to Labor Day every year. Find farm animals, thrill rides, live music, food on a stick, and all the fun of the fair. The Renaissance Festival is open on weekends in September. Visit wenches, wizards, knights, snake charmers, see medieval entertainment, and indulge in food and drink at one of the nation's largest Renaissance festivals. The Twin Cities Marathon is the first Sunday of October. Over 10,000 runners follow the course from the Metrodome in downtown Minneapolis to the State Capitol in downtown St. Paul, with half a million spectators cheering them on. Halloween is October 31, and in the Twin Cities and there's plenty of haunted houses and Halloween parties around the Metro area. Thanksgiving is the fourth Thursday in November. You can find a number of volunteer opportunities in and around the Twin Cities. The Holidazzle Parade starts Thanksgiving weekend and is held December weekends before Christmas. The annual parade with millions of lighted floats and performers in downtown Minneapolis is a family favorite.